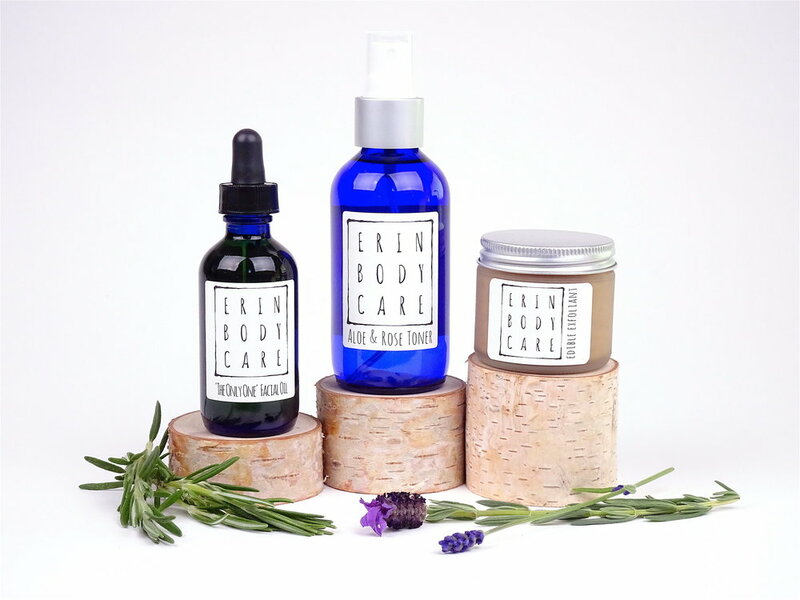 Erin Body Care is one of the few body and skin care producers in the market that is completely free of synthetic additives, derivatives, alcohols, and petroleum byproducts. Our ingredients are food-grade, because we believe that you should treat your body as well outside as you treat it inside. Our potent formulations are carefully and holistically sourced and crafted. We use organic golden jojoba oil, organic Moroccan argan oil, organic cocoa butter, fair-trade African shea butter, locally sourced honey and beeswax, avocado oil and organic sweet almond oil, organic essential oils, and many other of nature's restorative offerings. Our Ingredients page goes into great detail about our curated collection of ingredients. Our products are hand-crafted in small batches with the noblest intent, so that you can confidently indulge in the luxury they afford while knowing that they are safe enough for the skin of an infant. We believe nature has the power to restore and rejuvenate, so we’ve harmonized those natural gifts into formulas that you will always want to cherish and never want to do without. Some of Erin's Botanicals can ease fatigue and soothe muscle soreness; others include antioxidants that can repair the cellular damage coming with age. Each formula in our line combines a variety of purposeful elements resulting in blends with subtle fragrances that are barely traceable after use, but delight the senses without lingering around you all day or night. Once you try Erin's Botanicals, you will want to use them frequently and liberally to feel beautiful inside and out!